A small male was sighted on the periphery of the web. ie the Spider in the photo is a female. Large web was spun between the trunks of the tree. Yes, this is one of the Gold Silk Orb Weavers in the family Araneidae. 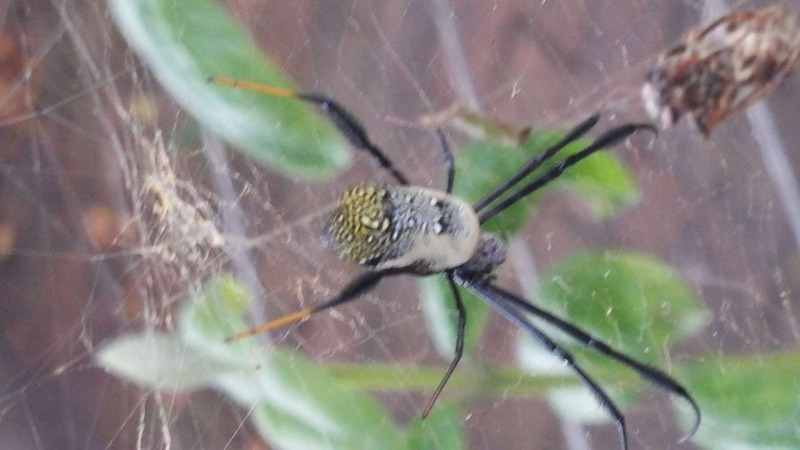 One of the Nephila species (there are several recorded from South Africa). It has been identified as a hairy Golden Orb Weaver Nephilia fenestrata. The male is still with her but her abdomen has grown quite large.